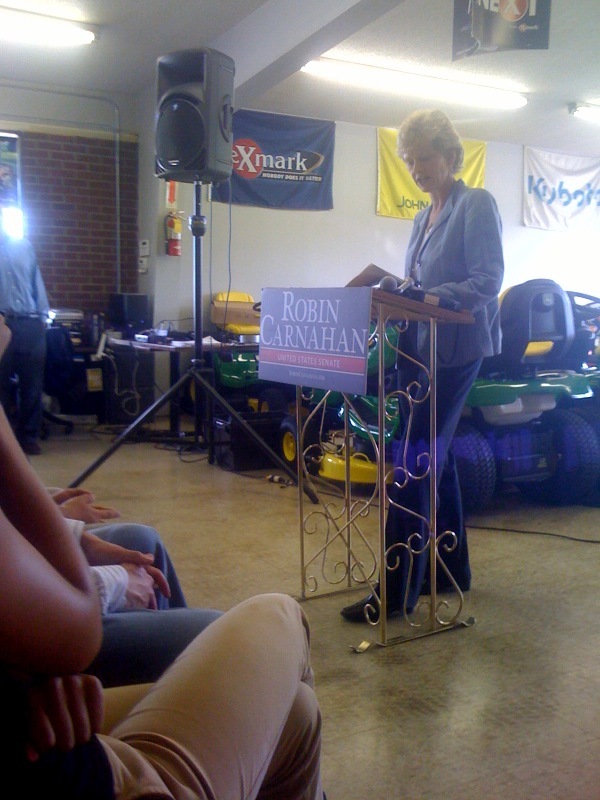 U.S. Senate Candidate Robin Carnahan says there is a “culture of corruption” in Washington. 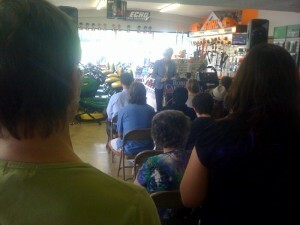 During a Columbia campaign stop, Carnahan says corruption in Congress is just out of control. She’s disgusted by back door deals and earmarks, and says lobbyists have way too big of an impact. “What we need to do as a first step is have a permanent ban on members of congress ever becoming lobbyists… and a six year ban on congressional staff going back to lobby their bosses. The next thing I think we need to do is publish online the details of meetings members of congress have with lobbyists. You know, there are 24 lobbyists for every member of Congress,” Carnahan said. She says that could seal off the ‘revolving door’ between lobbyists and Congress. “Just an example of this, the financial industry alone has 1,500 former members of Congress, staff members or federal employees that now lobby on their behalf. These are folks that were paid handsomely to either stop or water down Wall St. reform,” Carnahan said. But can what she describes as deep-seeded problems really be changed? “Everything seems to be hard in Washington, even the most common sense things. That’s part of what’s broken about the place and I really thing you’re not going to change the place until you change the people who are out there, and who are not caught up in the culture of it and can see from a distance how corrupting it really is,” Carnahan said. 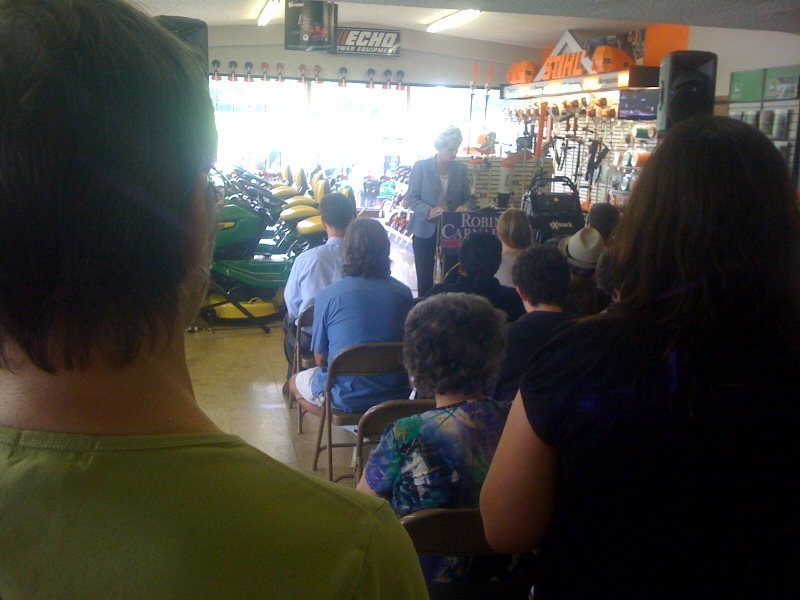 That’s where her platform makes it segway into questioning the record of her likely opponent in the November race, Congressman Roy Blunt. “There are some people who go to Washington to change Washington, and others who go there and get changed by Washington,” Carnahan said. She says Blunt has become too much a part of what is wrong with Washington. “It’s sad really, that after being in Washington for 14 years and getting caught up in the culture of that place, Congressman Blunt is now the number one recipient in all of Congress of lobbyist campaign contributions. He’s the number two recipient of PAC contributions,” Carnahan said. While Carnahan made her case against Blunt in Columbia, the Missouri GOP later posted excerpts of the speech on YouTube, leveling their own claims against her. Carnahan says she’s never been a rubber stamp for anyone, and that won’t change is she’s elected to the Senate. She says Blunt appears to be campaigning against President Obama. “I think in the end the voters are going to have to decide if this Senate election is about me and Roy Blunt or if it’s about somebody who’s not on the ballot,” Carnahan said.